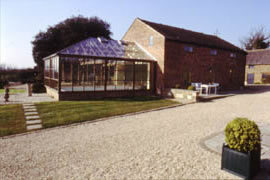 Originally built as a barn, the Pool House has been expertly converted to provide luxury accommodation for up to 4 adults. The 12 metre (40 ft) heated indoor pool is housed in a specially built, fully glazed building extending out from the main accommodation. With windows on three sides you can relax and enjoy the views across the lawns and on to the rolling countryside of the Eyebrook Valley. 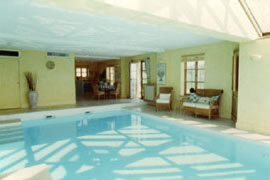 The swimming pool is for the exclusive use of guests staying in the cottages and or the pool house. It has a changing room with shower, wash basin and toilet. The kitchen and breakfast area overlook the pool and contain a cooker, hobs, toaster and fridge.